This welcoming facility, operated specifically for seniors within the community, offers inclusive programs and activities to encourage a healthy, active and social lifestyle. Visit the Leisure Guide website to view all programs and activities, view recreation schedules, or go straight to registration! The Seniors' Activity Centre Shuttle Bus serves the transportation needs of seniors living in West Vancouver by offering access to the Seniors' Activity Centre, doctors' offices, grocery stores, financial institutions and local businesses. Members and non-members of any age can enjoy a healthy menu and catering choices for lunch, dinner, or a quick snack. View the menu for updated Café hours. Host your dance, banquet, or other large events and celebrations in this 3,000 sq. ft. multi-purpose room with hardwood floors. This bright, sound-proof room is great for smaller meetings and presentations that require audio and visual equipment. Located directly off the cafeteria, this garden level room is enclosed by full windows on three sides, making it a beautfiul setting to host a reception. With access to the garden and a patio, this is a perfect multi-purpose space for just about any type of gathering or activity. This bright and cheerful room with direct access to the patio is ideal for working on creatively inspired projects. The skylight and vaulted ceiling make this atrium space feel warm and welcoming. Have a casual get together on the couches, or set up tables and chairs for a more structured meeting. WIth long tables, lots of chairs and a white board at the front of the room, this room is great for hosting workshops and seminars. Learn more about the many spaces inside of the Seniors' Activity Centre! 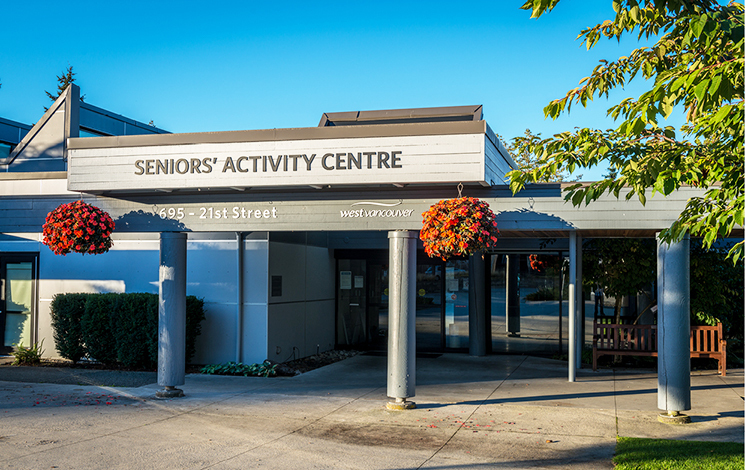 For a video tour of this facility, please visit the Seniors' Activity Centre Facilities page. An annual membership is required to participate in most Seniors’ Activity Centre programs, trips, events or visits. To avoid delays when registering for programs, please buy or renew your membership prior to registration. amazing opportunity to reconnect with old friends and make new ones! One person caring about another represents life’s greatest value. Allow our compassionate and knowledgeable team of volunteers to help you and your dear one to explore their options. It can be as simple as a cheery phone call every day, or a ride to a medical appointment. We can also suggest fun activities to expand their social life. Remember, it is important to have a twinkle in your wrinkle! Contact Bunny at 604-925-7281 for more information. 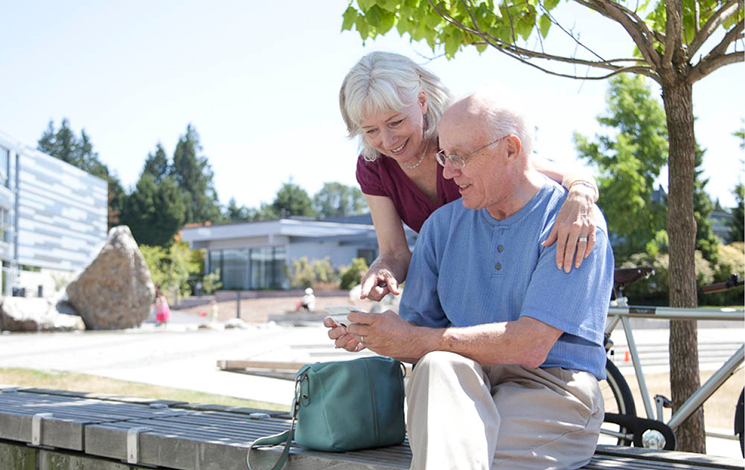 The Shuttle Bus offers a convenient, friendly and affordable service for seniors to easily access the Seniors’ Activity Centre, and local businesses including financial institutions, grocery stores and doctors’ offices around West Vancouver. 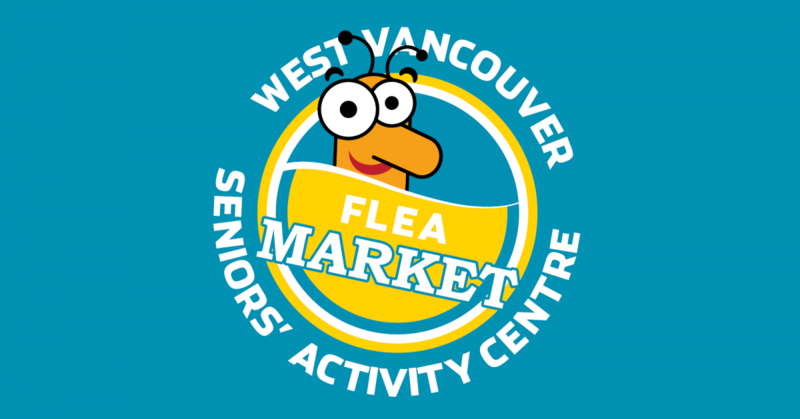 The Flea Market is coming up on Sunday, April 7 and will take place at the Seniors' Activity Centre this year! North Shore municipalities are working together to support people living with dementia and other cognitive impairments in remaining engaged, connected and active for as long as possible. Stay connected to upcoming programs and information at the Seniors’ Activity Centre. Sign up for email updates from your favourite facility! From hiking and golf to computer classes and quilting, we offer an activity to suit every interest. Add the page linked below to your favourites and you'll get the most up-to-date information on recreation schedules! Stay healthy, stay young, make new friends, try something new and connect with others. The Access Program ensures equal opportunities for persons with disabilities, families in need of financial assistance and newcomers to the community.